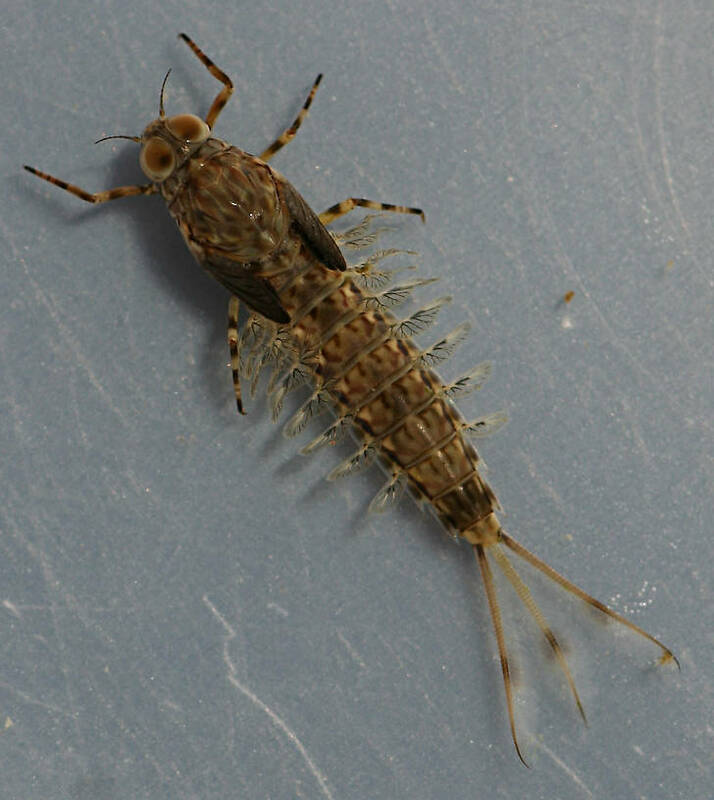 Intermediate nymph. About 15 mm (excluding cerci). 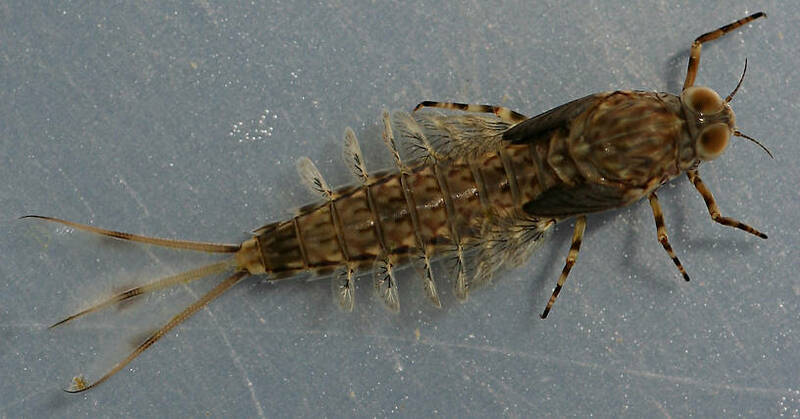 Ventral view of nymph shown in photo above. Mature nymph. About 16 mm (excluding cerci). Posts: 318 These nymphs are fairly common in the Russian River. 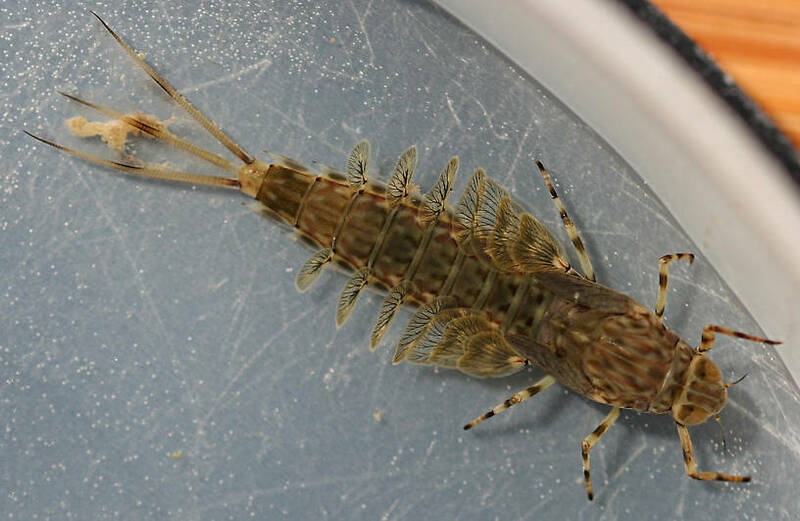 Usually found in slightly warmer, quiet water areas near shore. Substrate usually consists of small gravel and algae-ridden stones. The nymphs were keyed out with Merritt, Cummins and Berg (2008).